​We are now accepting enrolment for our annual summer camp program. Visit our Summer Camps page for more information, and registration package. Space is limited, so be sure to register early to avoid disappointment! Interested in gaining access to an indoor riding arena during these frigid winter months, and icy riding conditions? As the temperatures plummet and ​riding outdoors becomes challenging and unpleasant, renting our Olympic sized indoor arena may be the perfect solution to exercise your horse and maintain your training. More information can be found on our Facility page. 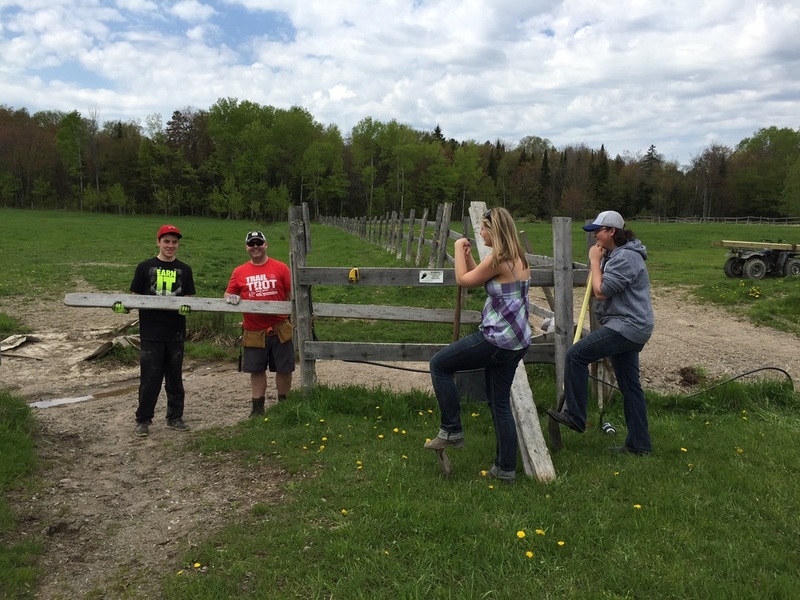 Discover what Strathclair Farm has to offer! Whether you are looking to experience riding for the first time, or are a returning rider looking to focus on specific skills, this 6 week lesson package is a great way to get you into the saddle! 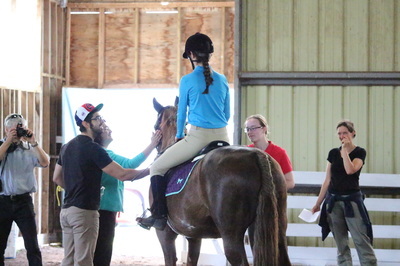 Our lesson coordinator has the expertise to carefully match you with an experienced instructor and club horse and to ensure we meet your individual needs and level of riding. Click on the link below to view SooToday's coverage of Strathclair's Christmas horse show and stall decorating contest. ​Strathclair Farm is pleased to announce the return of Coach Tina Breed beginning Friday, February 17 2017. 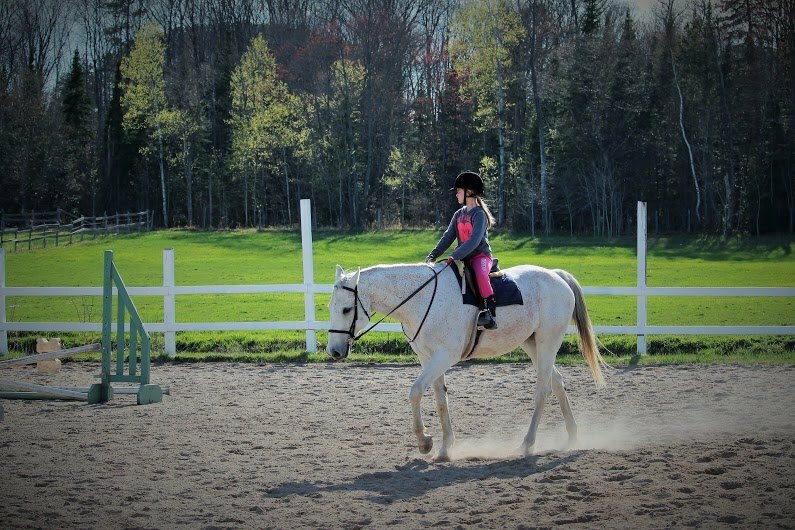 Tina is a lifetime member of SSMHPC, a nationally certified hunter jumper level 2 coach, certified judge, clinician and 2016 Sault Ste. Marie Sports Hall of Fame Inductee in the coaching category. 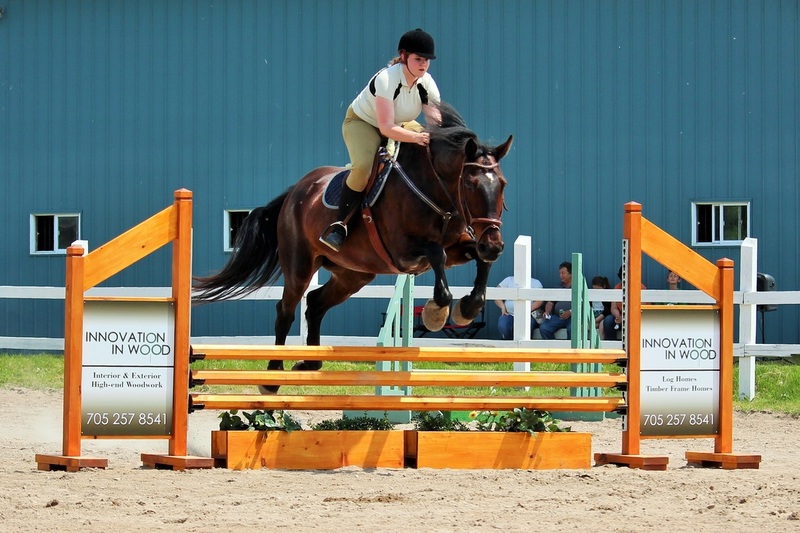 She brings with her many years of expertise as a rider, coach and trainer, and has brought riders and horses up through the levels from local to international level competition, several of whom have gone on to run their own successful equestrian businesses. Please join us in extending a warm welcome! 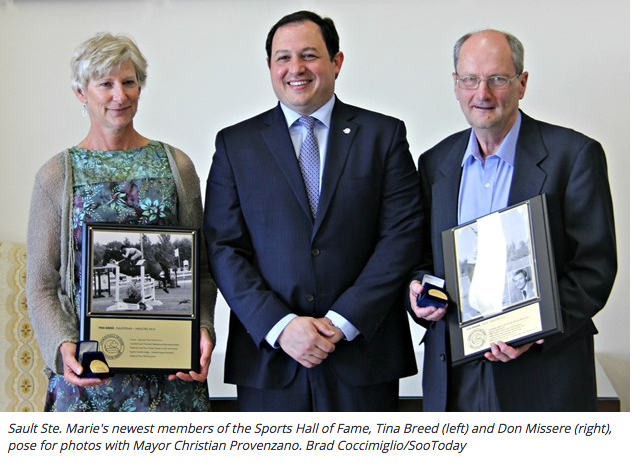 Click on the link below to view SooToday Reporting on Tina Breed's induction into the Sault Ste. Marie Sports Hall of Fame. Finnigan become an equine celebrity, as one of our beloved instructors, Deena Eddy introduced SooToday’s Jasmyn Rowley to horseback riding. This being her first time, she was apprehensive and intimidated by his sheer size, but Finnigan's gentle-giant demeanour put her mind at ease. 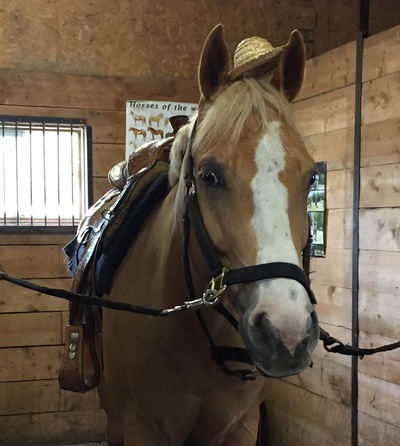 Jasmyn was able to groom, saddle up, and enjoy a leisurely walk around our indoor arena. We are happy to announce that starting June 1st, our monthly boarding rates will be reduced to $250. Included with stall board your horse will be fed twice a day, blanketed (when needed), turned out early in the morning, and brought inside between 4 and 5 pm. If you would like more information, or a tour of our facility, please contact us below, so we may arrange a time for your visit. 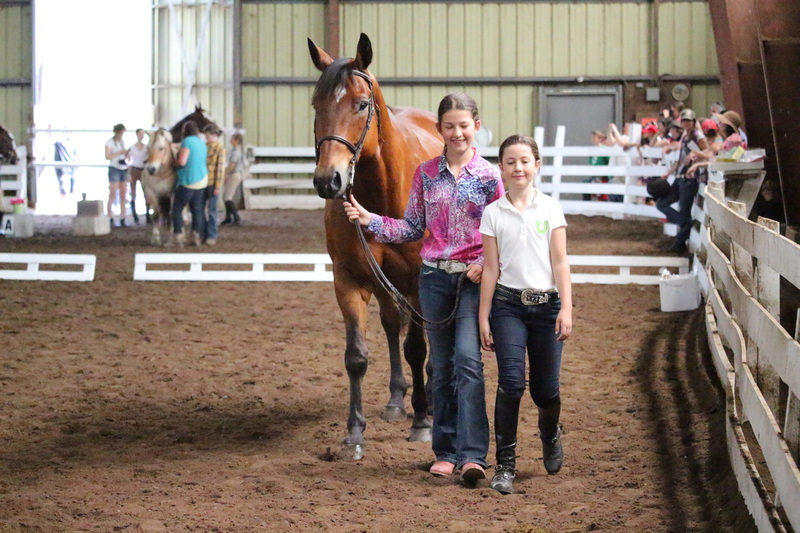 ​On August 29th, Strathclair farm hosted a Summer Combined Fun Show. 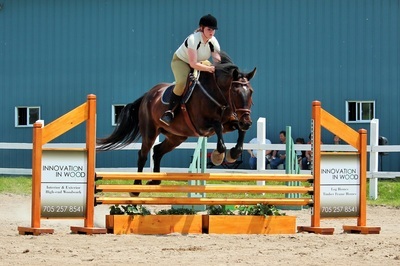 Dressage, Versatility, Show Jumping, and Western Events were included, in addition to newly added Cross Country events. This was most definitely a memorable end to the summer for all our participants and spectators. Final Standings and additional photographs were published in the attached news article. Our Summer Camps on CTV News! Our ​Strathclair Summer Camps were featured on CTV news! If you or someone you know would be interested in enrolling in our summer camp program, visit our Summer Camp page or email ssmhpc@gmail.com for more information. 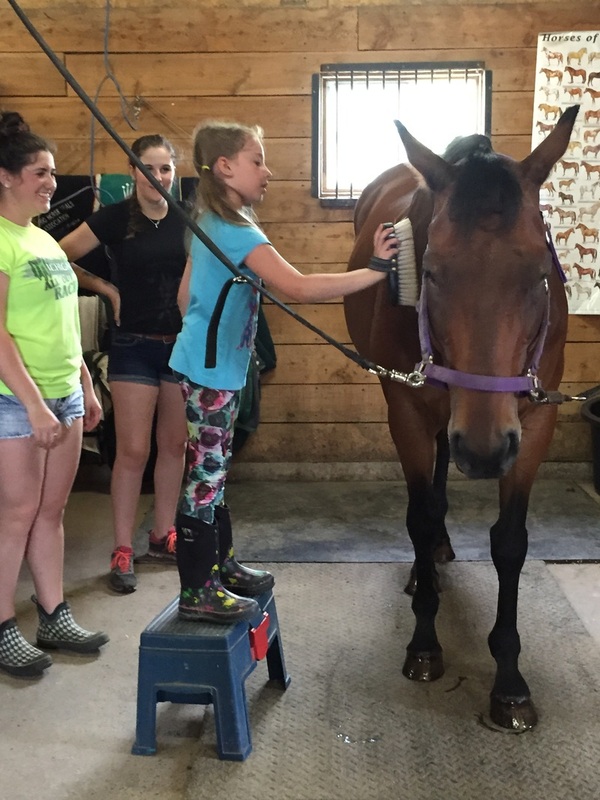 ​Stratchlair Farm hosted a Spring Combined Fun Show on Saturday, June 13th. The events consisted of English Style Jumping, Dressage and Western Style Pole Racing, Dash and Barrel Racing. ​For additional photographs and final standings please click on the news article link. Thank you to all of our participants, volunteers and sponsors! Strathclair Farm was generously donated by the Sinclair family to the City of Sault Ste. Marie for sports and recreation; which includes equestrian activities. Since 1969 the Sault Ste. Marie Horse and Pony Club has been bringing opportunities to the community through the passion for horses. With the largest indoor facility in Sault Ste. 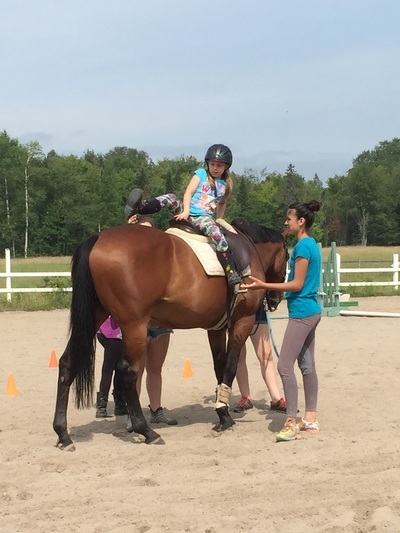 Marie we provide an opportunity for year round riding lessons, boarding services, clinics, educational opportunities and horse shows catering to all disciplines. 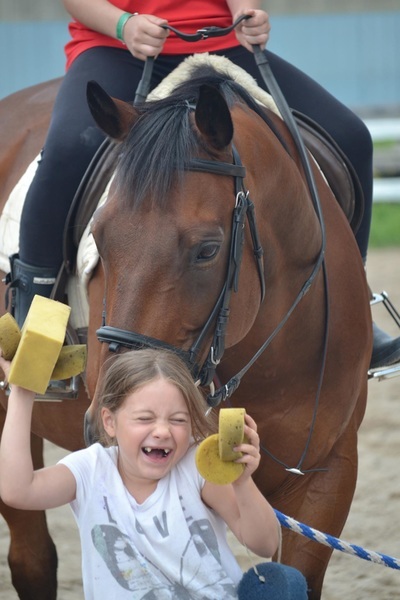 We strive to be a fun equestrian center for the community! Contact us about facility rental opportunities to host your equestrian events.